Complete structural engineering services for the 5-story, 1 million sq. 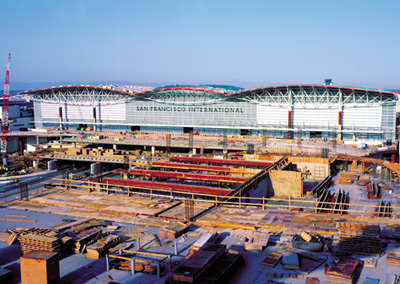 ft. steel frame shoulder building flanking each side of the main International Terminal. Design was performed to meet the performance-based seismic criteria requiring the facility to remain operational during a major earthquake.